Beautiful clear waters of Lake Superior shows a revealing view of the layers of rock below the small island. The surface of the island has dense population of lush green trees. This aerial view shows the small island and its continuing rocky layers below the water. The large mass of rock sitting below seems deceiving to the small island above the water's surface. 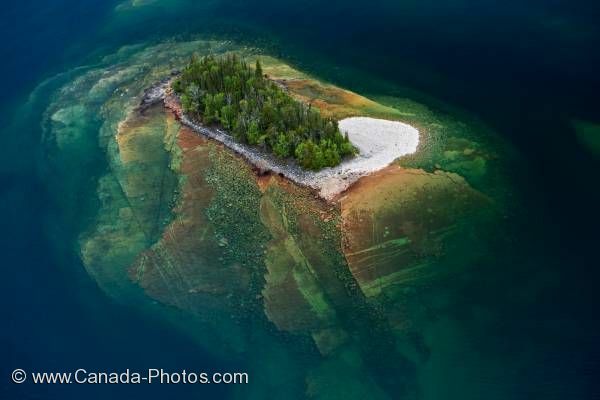 An aerial view of a small rocky island reveals layers of rocks beneath the clear blue waters of Lake Superior.